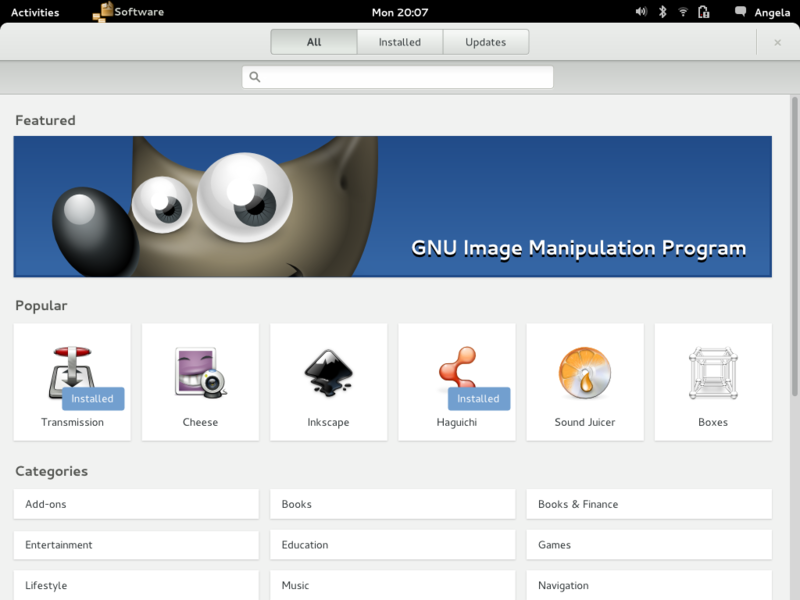 GNOME Software is a free application that provides Linux users with a modern and easy way to manage the software installed on their open source operating systems. It has been specifically engineered to run on top of the GNOME desktop environment. With this software you will be able to view installed applications, remove them, view available updates for installed packages, install updates, find and install new apps, as well as to find an application to handle a specific type of file. It has been designed in such a way that it will provide users with offline support for installed applications and updates, making them available when there’s no Internet connection. The project has been created by William Jon McCann, Jakub Steiner and Allan Day, and developed by Richard Hughes and Matthias Clasen. While many Linux distributions include their own Software Center applications (e.g. Ubuntu comes with Ubuntu Software Center), this project tries to create a universal Software Center app that works on any operating system, as long as GNOME is installed. The program integrates very well with the GNOME Shell user interface of the GNOME desktop environment, allowing users to search for a specific package directly from the overview mode. This function can be changed from the Search entry of the GNOME Control Center app. Its user interface is pretty similar with the one of other open source Software Center apps, such as Ubuntu Software Center. By default, it displays the project of the week, top picks, as well as the main software categories. On top of the window, users can easily switch between three different views, All, Installed, and Updates. While the All view mode has been described above, users will be able to view and installed updated on the Updates view, and view and remove installed packages from the Installed view. Because the application is currently in heavy development, and because it will be introduced as a preview on the forthcoming stable release of the GNOME desktop environment, we feel obliged to say that the application still needs a lot of work and support for many other popular package managers, such as pacman on Arch Linux. However, we strongly believe that it will be a success!